Just a little bit of scrunch adds a whole lot of style to MUK LUKS® Women's Holly Slippers. 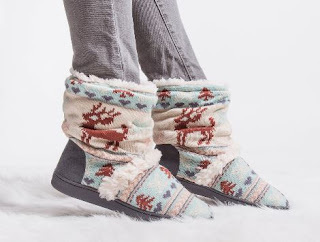 Ankle slipper bootie style features a relaxed fit & fun faux fur details. Wipe with a damp cloth to clean, no bleach, lay flat to dry. Imported.